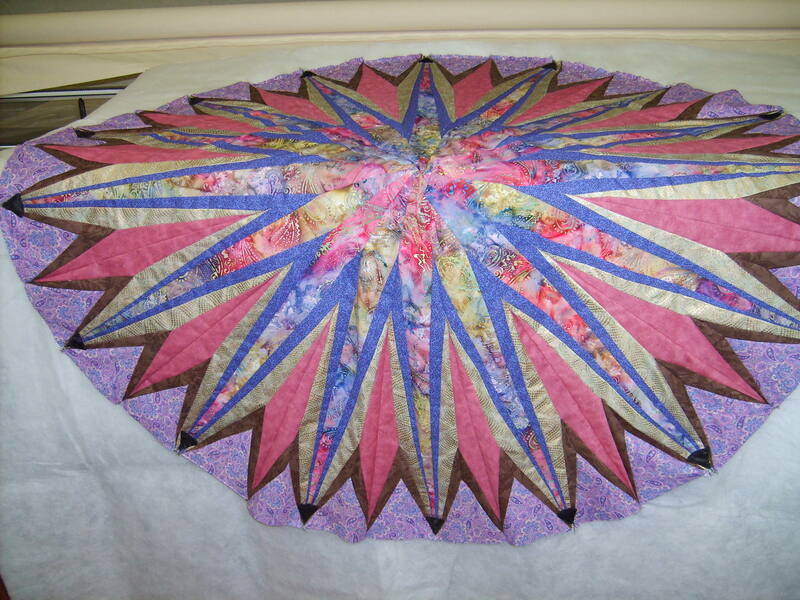 Original design 52 ” diameter quilt based on Nadlestern’s book. 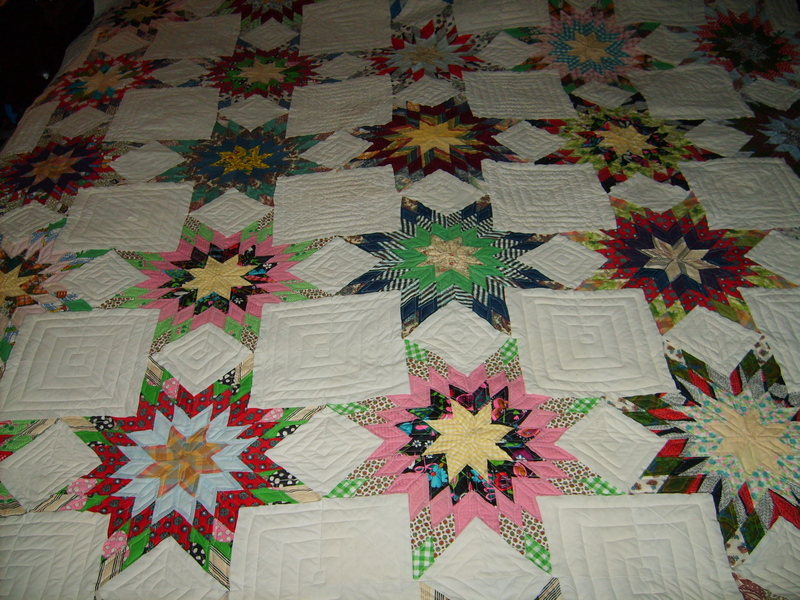 The batik in the center star was used to pull the palette together. Cotton and cotton blends were used to achieve the right mix of colors.